Healing is movement. If you put your body in motion, you will change. Each of us has the power to be our own medicine man or woman. Awakening our innate powers of being, loving, knowing, seeing and healing involves ongoing work at all levels and in all dimensions of our self. Come and join this journey into embodiment and wholeness. 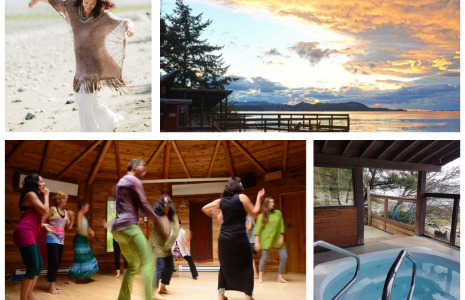 The 5Rhythms® movement practice is meditative, fun and transformative. It is designed to release the dancer in every body – regardless of age, condition or experience. It creates opportunities to find freedom of movement, states of heightened awareness, profound healing and the inspiration for living a creative and fulfilling life.